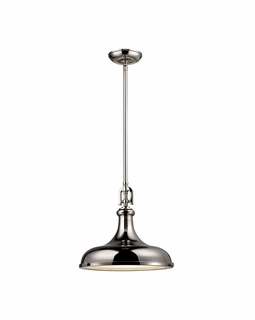 This series has a smooth curving profile adorned with a decorative link casting adding to the restoration appeal of these designer pendants. The edge of the metal shade is defined by a ring that has period-authentic thumbscrews and a frosted glass diffuser. 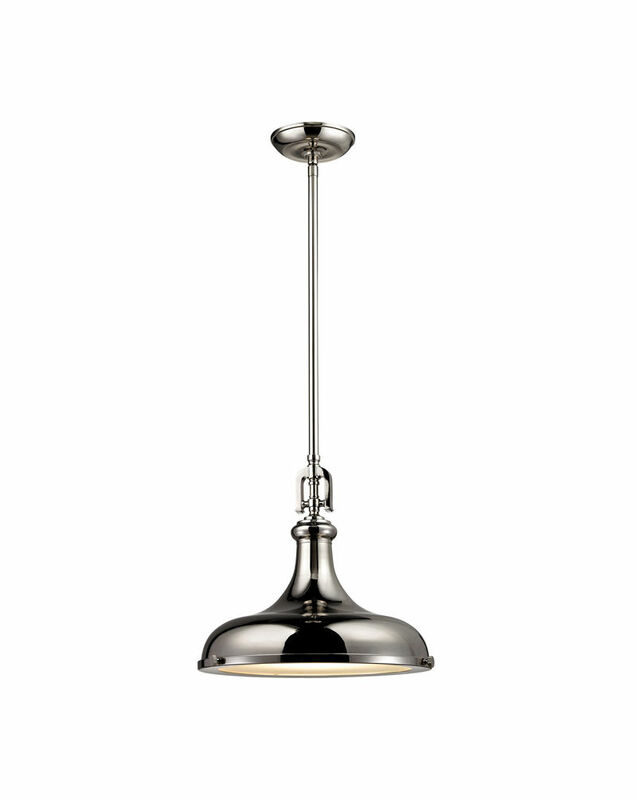 Finishes include Polished Nickel, Polished Nickel-Gloss white, Brushed Nickel, Oil Rubbed Bronze, Polished Nickel-Weathered Zinc, and Brushed Antique Brass-Oil Rubbed Bronze.